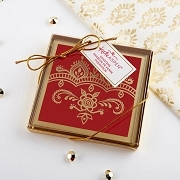 Under the Stars Glass Coasters start off with an elegant glass look and are made even more beautiful when decorated with a constellation print and gold border. 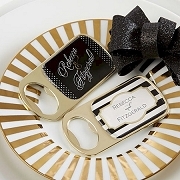 From decor elements as you're dancing under the stars to designing a coaster favor that will look lovely under guests' drinks, we know how to make every element of your special day even more special. 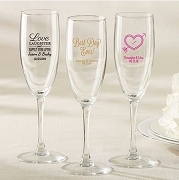 I was so happy to find the perfect favor for my daughter's wedding reception. 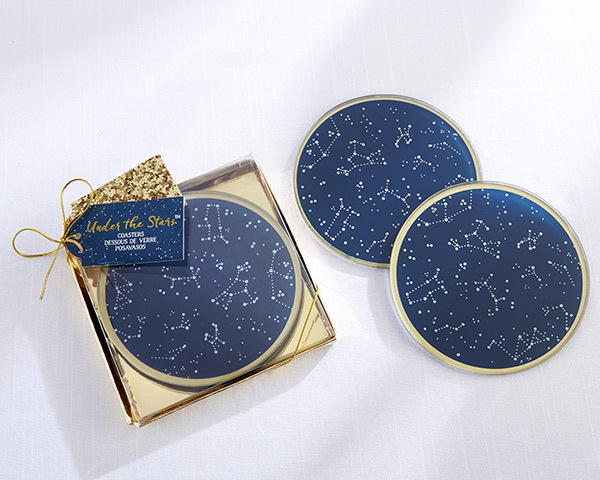 Our theme was a starry night, and the Under the Stars coasters were the perfect compliment. They are glass and look very classy. They were shipped very quickly, which is good because we were a little last-minute.